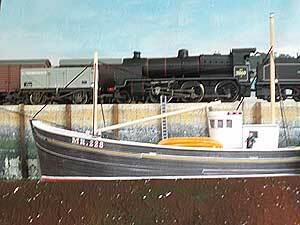 In November 2016 Model Rail magazine featured model railways that contained water scenes and it made available a free 4mm scale Trawler kit by Scalescenes (now available to purchase direct from Scalescenes). 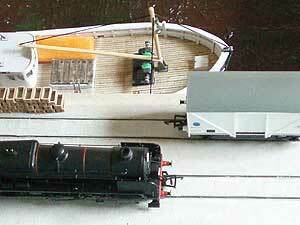 The magazine and its giveaway inspired me to create a micro layout of a harbour railway featuring the Trawler. The box file diorama concept was adopted after I saw a couple of videos on YouTube showing railway layouts built into a box file. 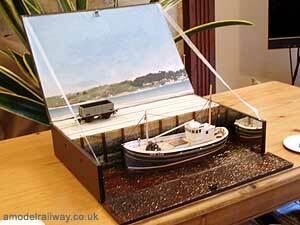 With my railway interest being BR Southern Region I began searching for a suitable south coast location to model. 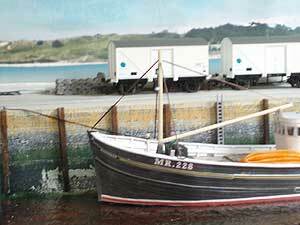 It had to be a fishing port with a railway and quite quickly I came upon Padstow, Cornwall. The Jetty, built by the LSWR, juts out from the land with harbour on one side and the Camel River estuary on the other and In the 1960s it carried two railway sidings. 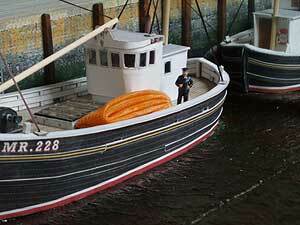 The trawler MR 288 is a Manchester registered vessel. As trawlers from all around the UK could be seen at Padstow I am happy that this one finds it way onto my harbour scene. To get it into a box file with the lid shut all that has to be done is to lift off the masts. The rigging is elasticated thread that is fixed to the trawler and 'gives' to allow the masts to be lifted out and laid down. The model was built in a month during 2018. To read about its planning and construction please visit the Blog. Skipper and his Trawler with another berthed behind. Trawler crewmates in oil skins. Backscene is a photo of the actual view across the Camel estuary. 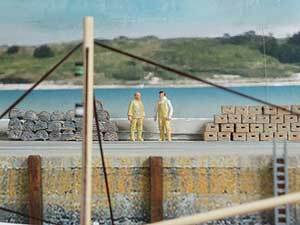 Fishing crates and lobster pots. 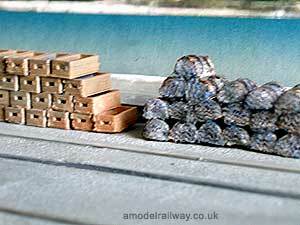 Fish Vans on the jetty siding. N class on shunting duties. Note: YouTube sets cookies. Enhanced privacy mode is enabled.